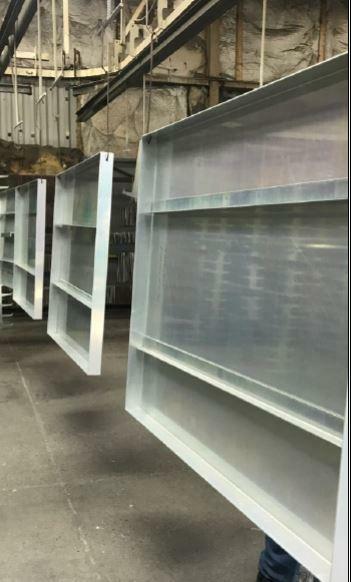 Powder coat and liquid painting are common finishing processes used in the fabrication of architectural metal panels to achieve the desired aesthetic appearance. The panel fabricator often uses third party painters, and the process to ship parts, paint them, reship, assemble them, and ship again to the job site is both cumbersome and time-consuming. 3M has developed a great solution to this problem. Their VHB architectural panel tapes (APT) have long been a robust method for attaching stiffeners and frames to metal plates or ACM panels, but the tape could not survive the heat involved in the painting processes. If you think the GOH-160 can help you with your pre-paint architectural panel application, contact Tom Brown, Inc. today for more information and for sample rolls for testing.